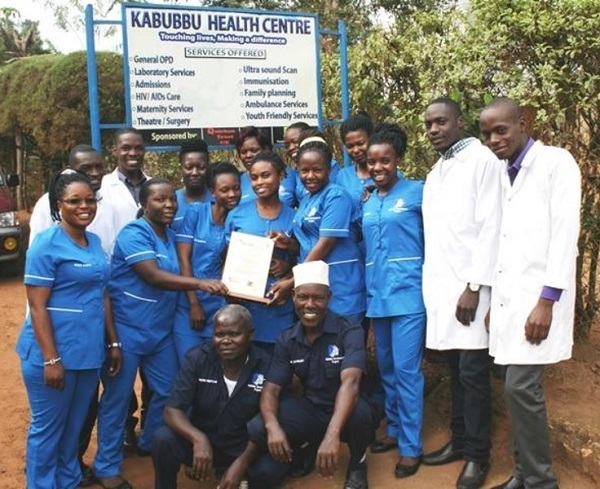 Kabubbu Health Centre has been recognised with a prestigious Gold Award from national and international organisations. It has achieved an outstanding performance award in ‘Logistics Management of HIV/AIDS related Commodities under the Procurement & Supply Chain Strengthening Project’. An award for excellence made by the Presidents Emergency Plan for AIDS Relief (PEPFAR) through US Centres for Disease Control & Prevention (CDC). We knew the KHC was good! And so does Wakiso District Health Authority. The KHC is in the process of being upgraded from Health Centre III to Health Centre IV (the top grading for a health centre) – one of only very few village health centres in Uganda. Congratulations to Susan and team!